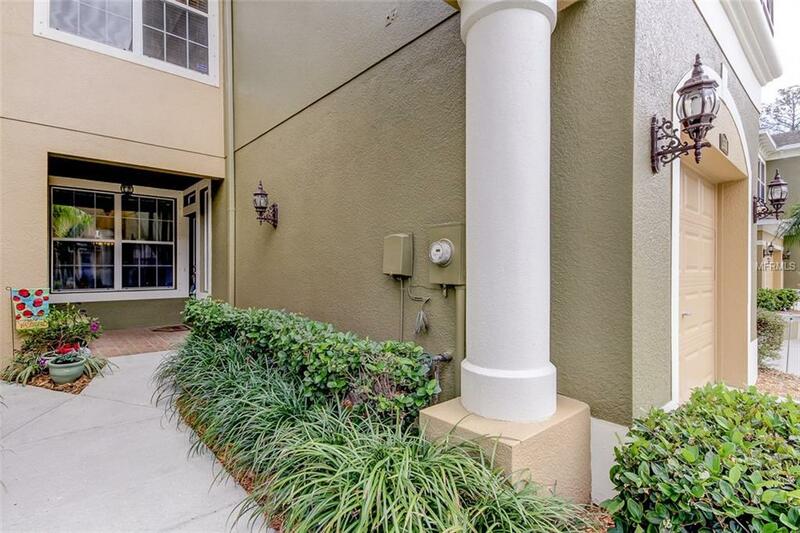 Beautiful maintenance free GATED community offers 3 bedroom/2.5 bath townhome on private CONSERVATION LOT available in the desirable Westchase area! 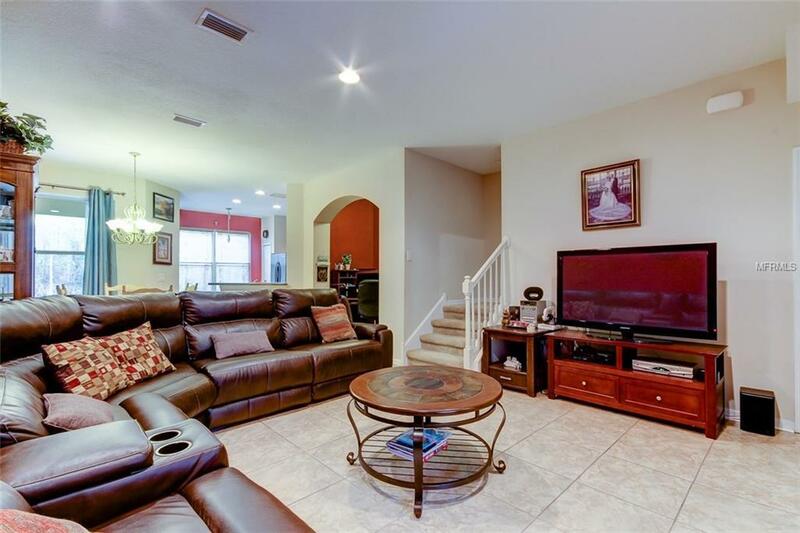 As you enter the home you will appreciate the large open modern layout. Large kitchen with 42" hardwood cabinets, corian counter tops, pantry, and large windows/sliders allowing lots of natural light. Small office/playroom nook downstairs - great flex space. Ceramic tile throughout first floor - easy maintenance. Half bath on first floor for convenience. Retreat upstairs to your oversized master suite with a huge closet overlooking the conservation with private screened in BALCONY. Double vanities in the master bathroom with hardwood cabinets and walk in shower and soaking tub. 2 excellent sized guestrooms and guest bathroom. 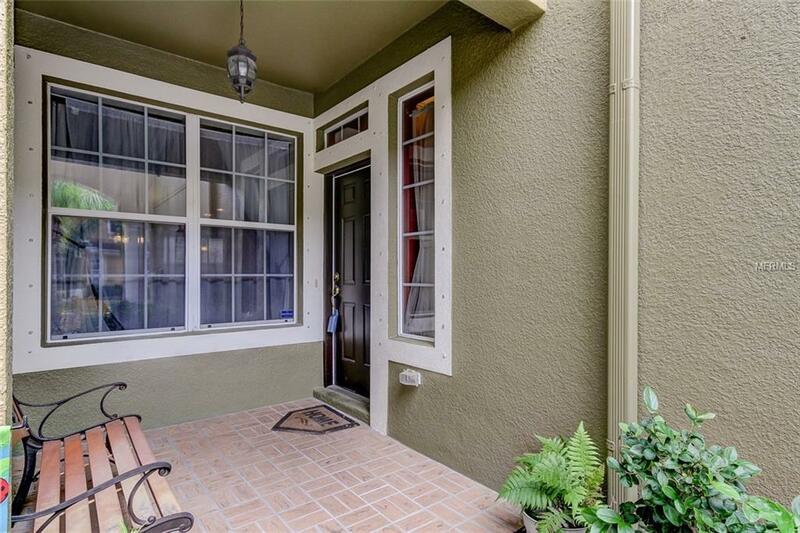 Private lot on conservation with extended patio to truly enjoy the outdoor FL living. NEW A/C 2015, NEW Ceramic Tile installed 2014, NEW Carpet on stairs 2018, New Microwave 2019, and Double Pane Energy Efficient Windows! Living Room wired for surround sound! WATER/SEWER INCLUDED IN HOA!! Large community pool and two playgrounds. 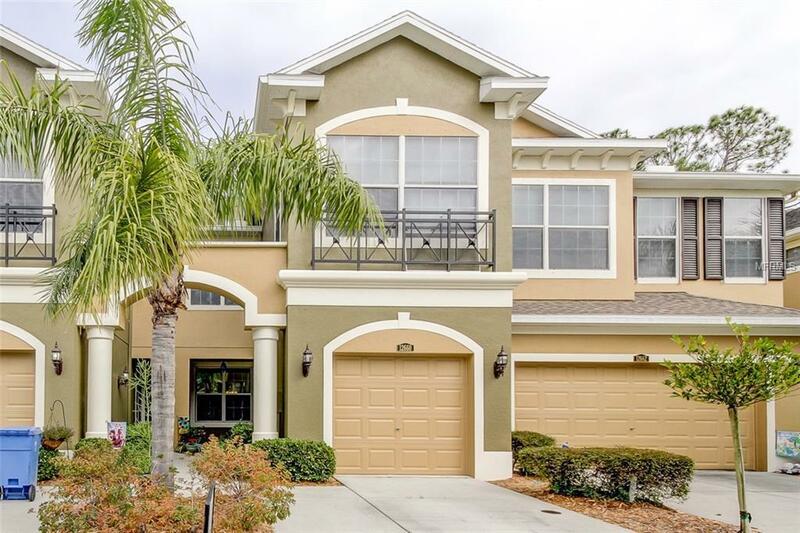 ZONED FOR A FEW OF THE BEST SCHOOLS in the county, close to major shopping, 20mins to Tampa International Airport, and 20mins to beaches - Amazing Location!! Listing provided courtesy of Re/Max Action First.